This is my first post of 2015 and I am really hoping to keep up a good pace as much as I can on the blog this year. I've got my determined nerd head on! I haven't made any resolutions per say but I have made the decision to push more to get things done in everything I do. Now that I have a diagnosis, I can concentrate on taking control of that and becoming more knowledgeable about it. Have you made any resolutions? Back around August/ September time, Born Pretty Store released their own stamping plate range and when the lovely Tina asked me if I would like to try some of the plates, I jumped at the chance, of course I did, especially when I saw this Sailor Moon plate. How freakin' cute is that? Tina kindly sent me 4 plates in total. Something went wrong somewhere in the postal system though and the plates were lost, or so we thought, until they arrived in December. As it is though, December was a really busy month and I am only just getting around to trying these plates now. The Born Pretty plates are round and exactly the same size as the current Bundle Monster plates. 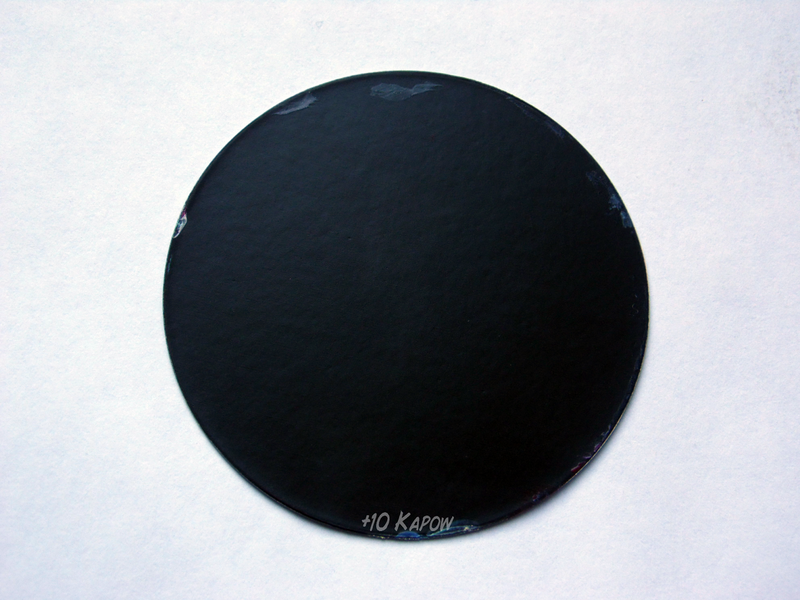 The back of the plate has a plain black card backing, much the same as other stamping plate brands, to take away the sharp edges of the metal plate. The design etchings are pretty much spot on, they are the right depth so the polish doesn't pool and so there is enough to get a good crisp image. I couldn't find any imperfections in the images at all. 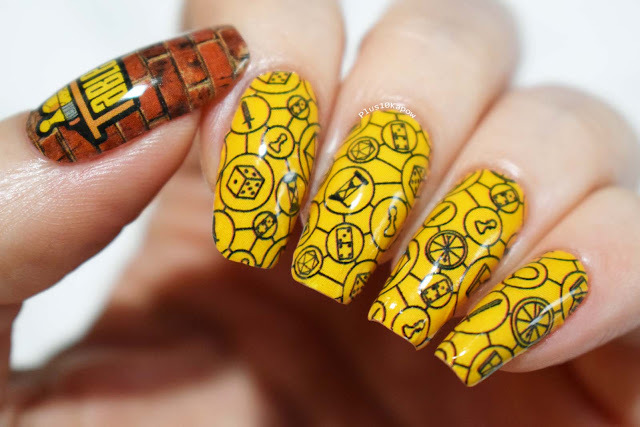 This is the nail art I did using the plate. 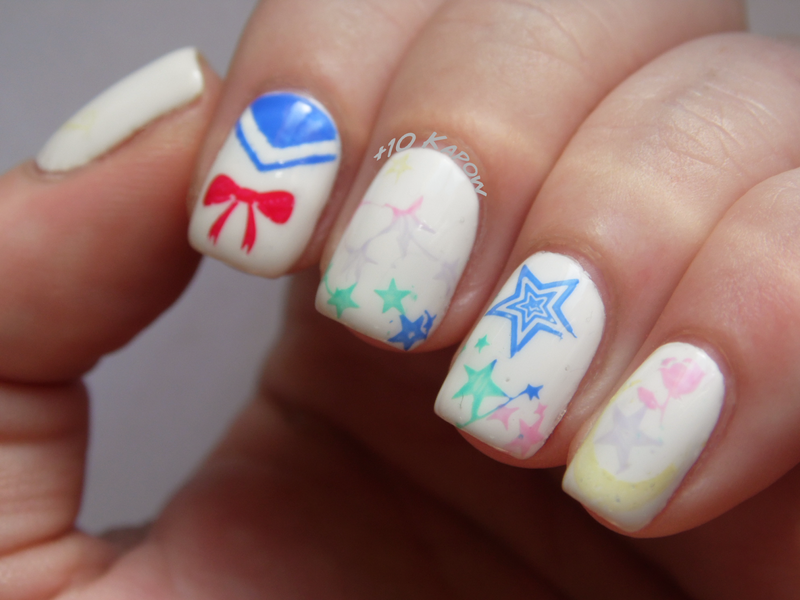 When I think Sailor Moon, I think bright, pastel, pretty and girly. 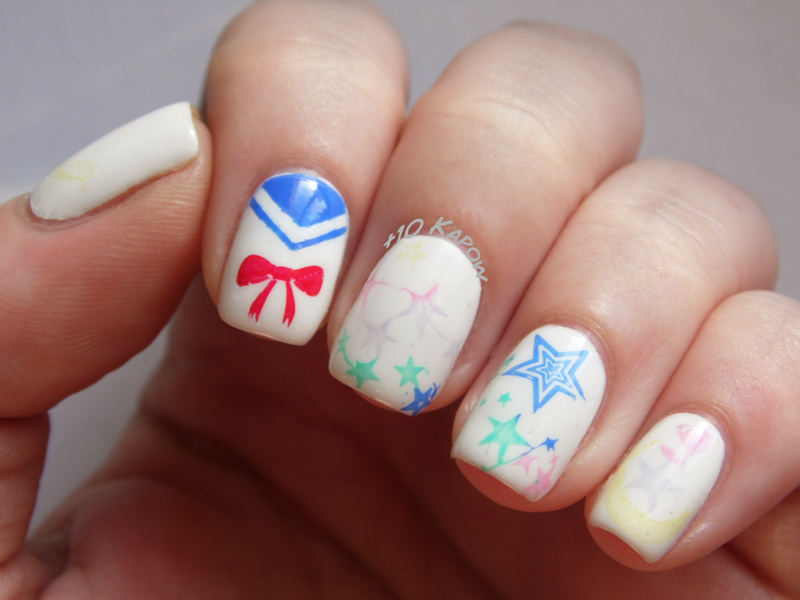 The only problem with that is most of the colours didn't show up enough so that I could get good photos of the mani :(. I found with this plate, it was easy enough to stamp and image then merge another image with it. As you can see, I used parts of 3 different designs on my pinkie. 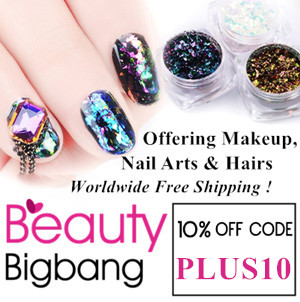 All of the designs were stamped directly onto my nail bar the bow on my pointer finger which I did using the stamp decal method. My thumb ended up being the hardest of all to see but the prettiest. It was one of those things that was much better in theory than it was in practice. You can sort of see how well the intricate details of the moon stamped. 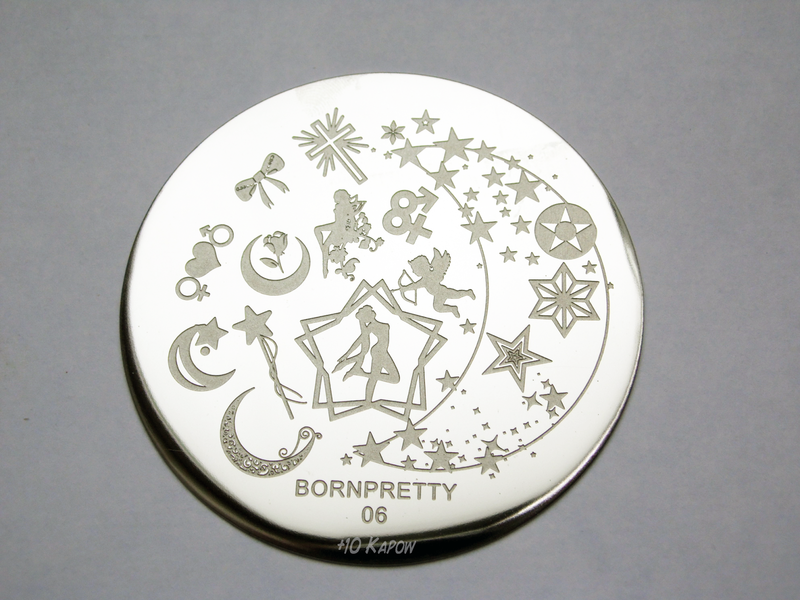 I really love this plate, however when I go to the Sailor Moon plate page on Born Pretty it shows a slightly different design. The one showing as the Sailor Moon plate now has less images on there. I'm not sure what has happened there, maybe the plate I received was an early version of it, especially since my plate says 'BornPretty 06' and the current plate says 'BP-06'. You can purchase the current Sailor Moon BP-06 plate here, it is normally £1.92 but it's currently on sale for 64p, how can you go wrong? 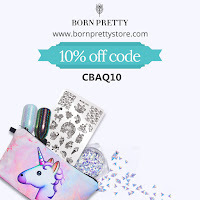 Why not go an have a look at the other Born Pretty plates, there are some great designs and some of them are currently on sale. 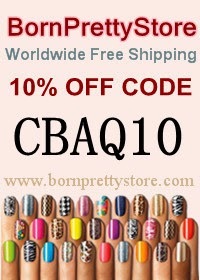 Plus, don't forget you can get 10% discount off by using my code CBAQ10 at checkout. The stamping plate in this post was sent to me for review purposes. All opinions expressed are my own, honest opinion.